Most firms by now recognize that having a focused and differentiating brand enables them to stand out among the sea of competitors all vying for the same customers. What they often neglect to consider is the critical role that a well-defined brand plays in winning an equally competitive crusade – the battle to attract and keep exceptional talent. Engaged internal teams are essential to your firm’s ability to deliver on its brand promise and to the overall success of your brand and customer experience. But today’s workforce is very selective about where they work. The most talented professionals seek out firms that strive to have positive impact on the world around them, hold nonnegotiable values, and offer distinct cultures. 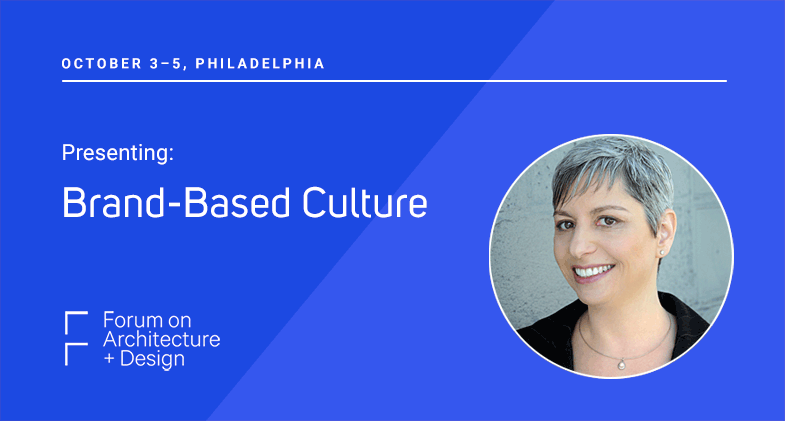 In this session, attendees will learn the most effective strategies and tools for developing a brand with the goal to attract, engage, develop and retain an exceptional team – and doing so in authentic, relevant, and meaningful ways. Identify strategies, tool and best practices for developing a highly effective brand-based culture – the most powerful weapon for winning the war for top talent. Overcome functional silos and bring together leadership, marketing and HR in order to amplify the effectiveness of their firms’ employee recruitment, engagement and retention. Transform their brand and marketing strategies traditionally used to engage clients into powerful tools that create an exceptional candidate and employee experience. The Forum on Architecture + Design is focused on curating multidisciplinary educational content for designers, civic leaders, product manufacturers, technology providers, and real estate developers – all the industries that contribute to shaping our built environment. The Forum will take place at Bok in Philadelphia October 3–5, 2018, offering over 30 accredited continuing education programs and tours, compelling keynote sessions featuring nationally/internationally recognized industry leaders, a three-day expo, and several opportunities to network and socialize with leaders in the building and design professions. For more information and to register, visit The Forum on Architecture + Design website.